Happy Easter Home Again Peeps! Home Again & Lumina Gem Peeps! ? Trick out your front porch with fun red rockers! $175 ea, side table $52. Wow…oversized power recliner by LazyBoy in perfect condition. It retails for $1689, our price $795! 51″ wide. GORGEOUS abstract in soothing coastal colors, $425. Very large scale, 80×60 Can be hung vertically or horizontally. Just in…four Ethan Allen parsons chairs in a lovely camel upholstery, $175 ea, sold in pairs only. Excellent condition. The cat’s meow! Pair of modern turquoise chairs, $295 each! Pretty outdoor bench made of acacia wood…45.5″ wide, $225. We also have the 60″ version for $275. The consignor purchased two of these GORGEOUS faux bamboo bookshelves, but could only use one, so here you go. Sharp! Pub set just $495. 42″ square. Phone orders accepted, call 910 679 4302. Pair of seagrass chairs, $112 each. Flamingo lamps are sold, sorry. in seafoam green, $365 each! Just in…pair of wooden adirondack rockers just $225 ea. Also from Joanna…lovely SHIP-LAP white queen bed! $825. We are BIG FANS of this geometric queen headboard for just $225! In dark espresso finish. This granite topped kitchen island has GOT TO GO! $295. Yes $295! Serious bargain. Lee Industries, A SCORE at $495. 86″W Pristine condition. Super chic mid-century inspired accent chairs in blue/green…$395 each! Literally just in! Slate grey metal desk on casters, just $125. Fresh! Green & gold lamps, $76 each. Slate gray barrel chairs, $295 each. Just in…four dark sage green dining chairs just $75 ea. we also make jewelry in-house from scratch. 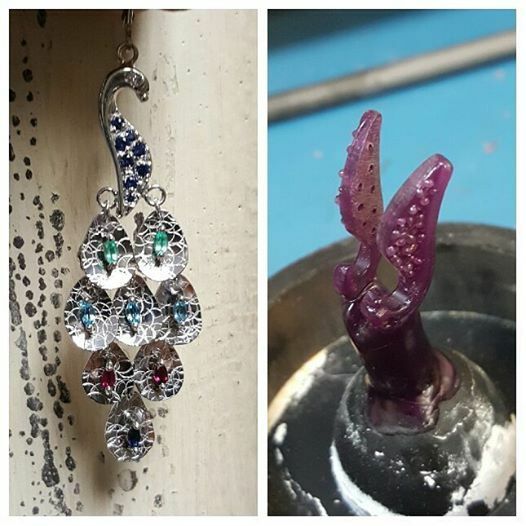 Just as an example… check out these peacock earrings that we recently crafted. Such a creative idea and gorgeous design. Got an idea? Share it with us….we can make it happen. 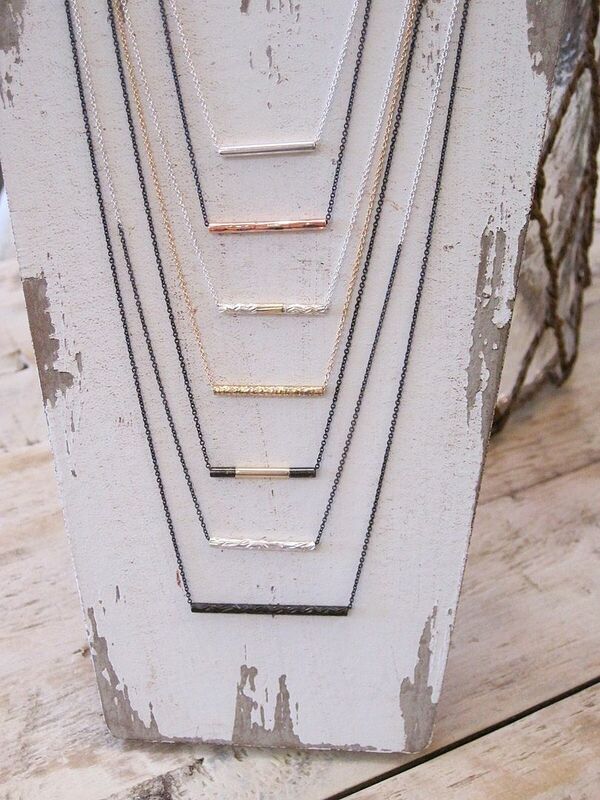 Our own in-house jewelry line REVOLVE is not your average bar necklace…and they are flying out the door! prices range from $65 up to $325. IN STOCK like this majestic cushion cut. 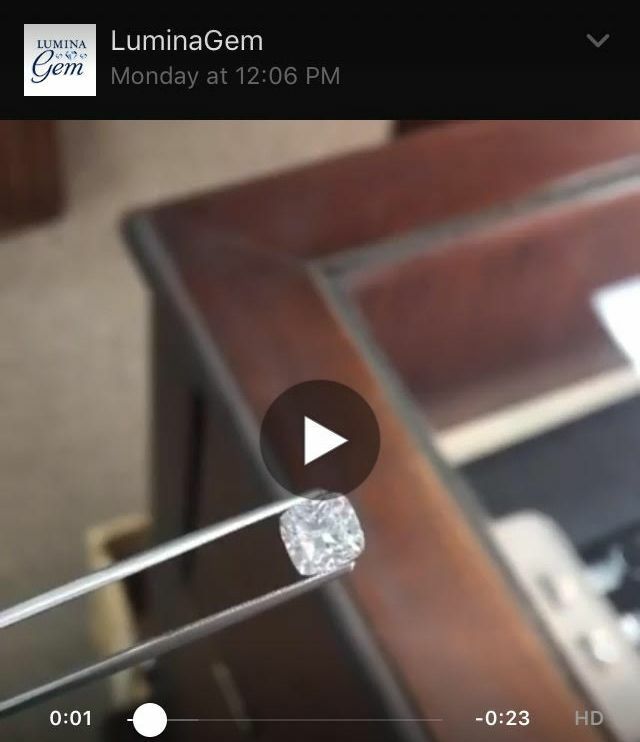 Click on this Facebook video for details on this shiny gem! 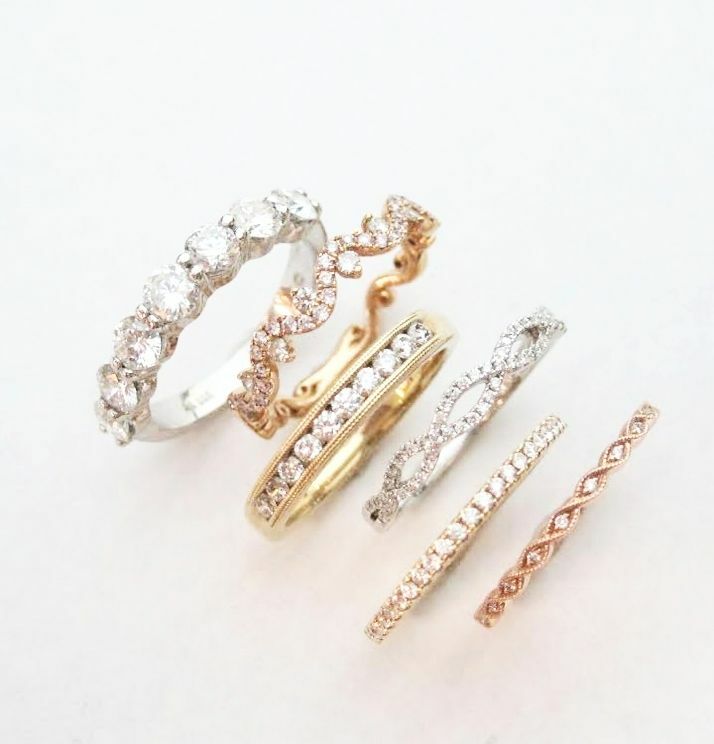 Did you know that we are able to get diamonds directly from the source, overnight and at no-charge to you to preview? at least 20% OFF during DIAMOND MONTH. Scott Kay citrine and diamond ring. Sale price $435. 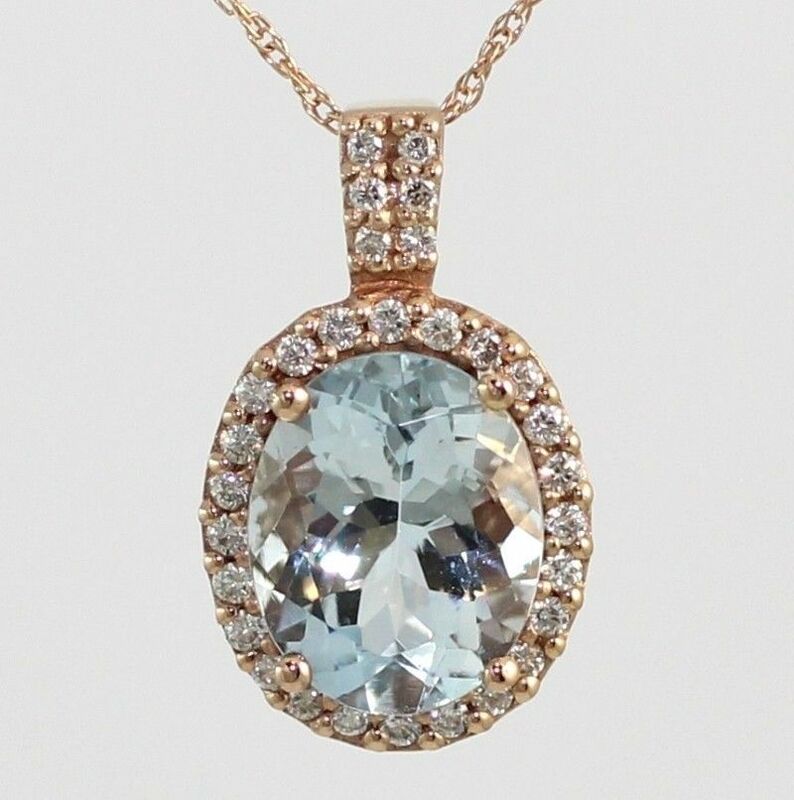 Slane 17 inch aquamarine double strand necklace $495. 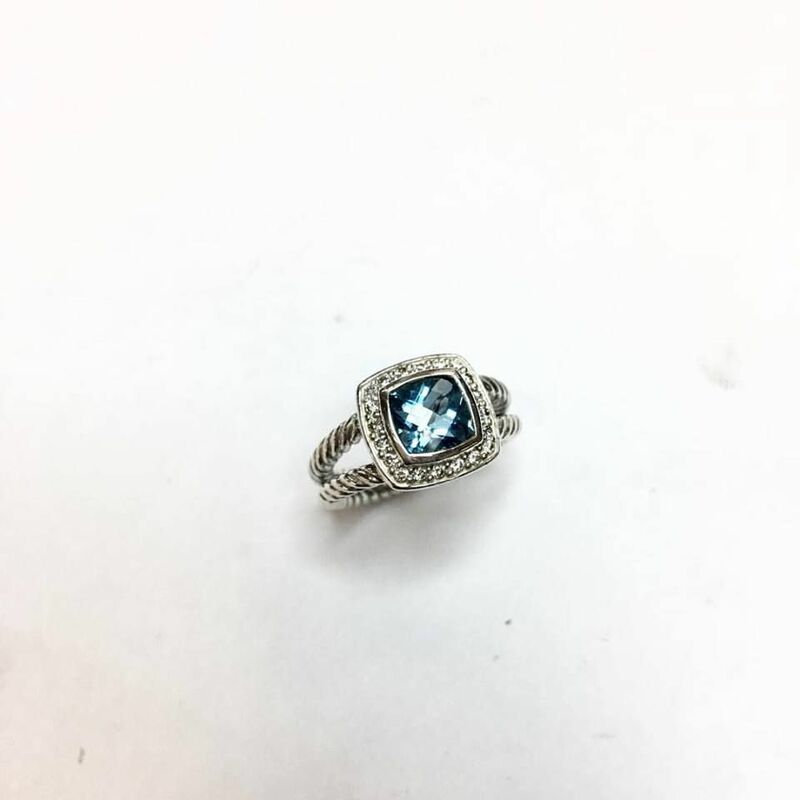 David Yurman crossover ring with diamonds. Sale price $635. 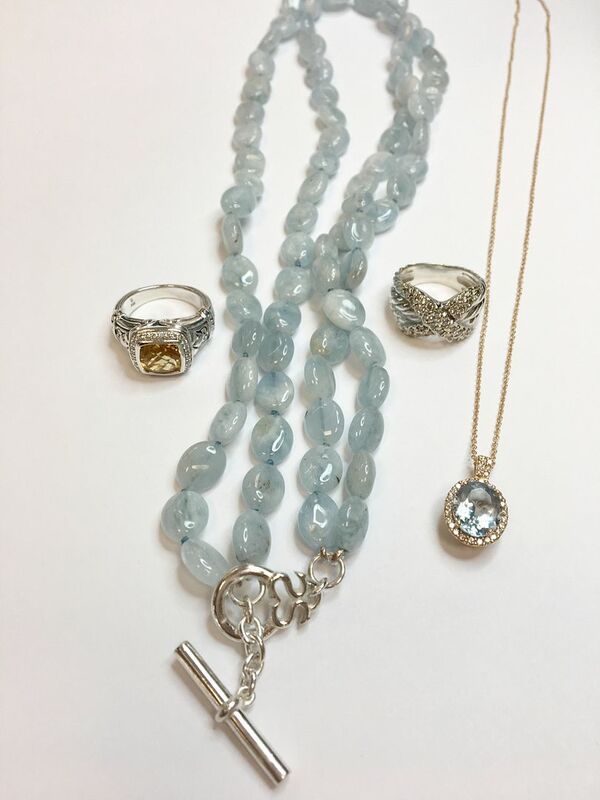 LeVian aquamarine and diamond necklace. Sale price $635. some vibrant color to your life. Call 910 256 1850 for details and pricing. 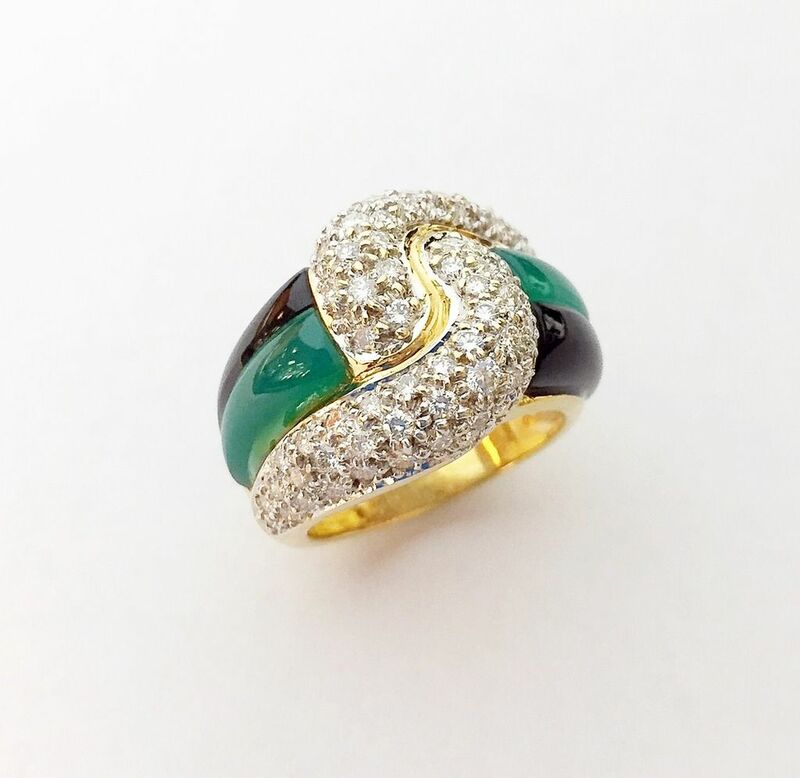 with diamonds is in….sale price only $395. enhancer and they are 20% OFF! Turquoise $715. Mother of pearl $635. Chalcedony $795. 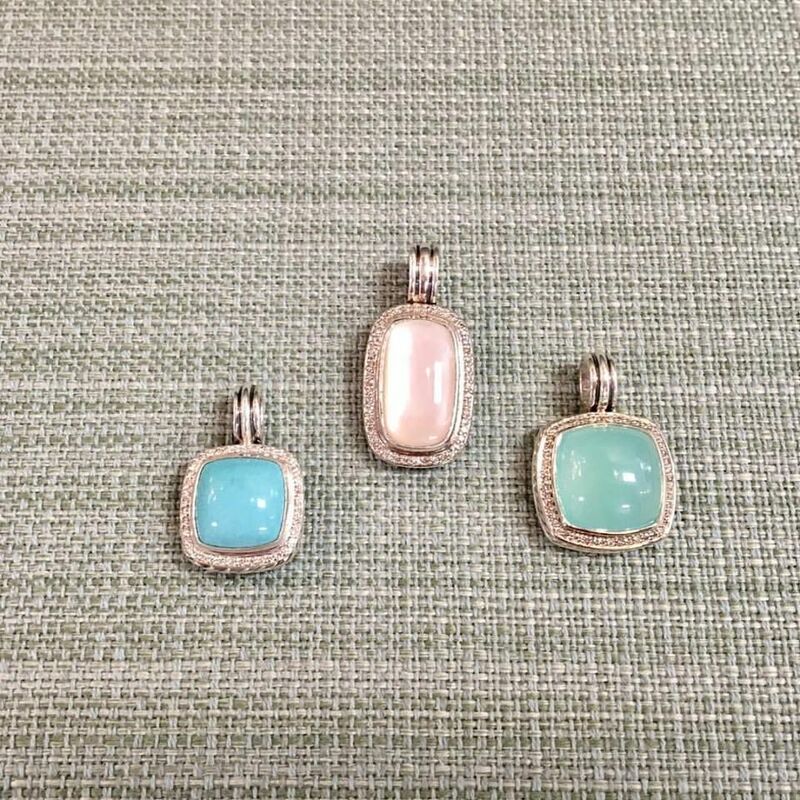 Tiffany & Co. pieces are great for any Easter basket. Get the set at $95 each. Caviar Lagos half hoops in 18ky gold and sterling silver $595. 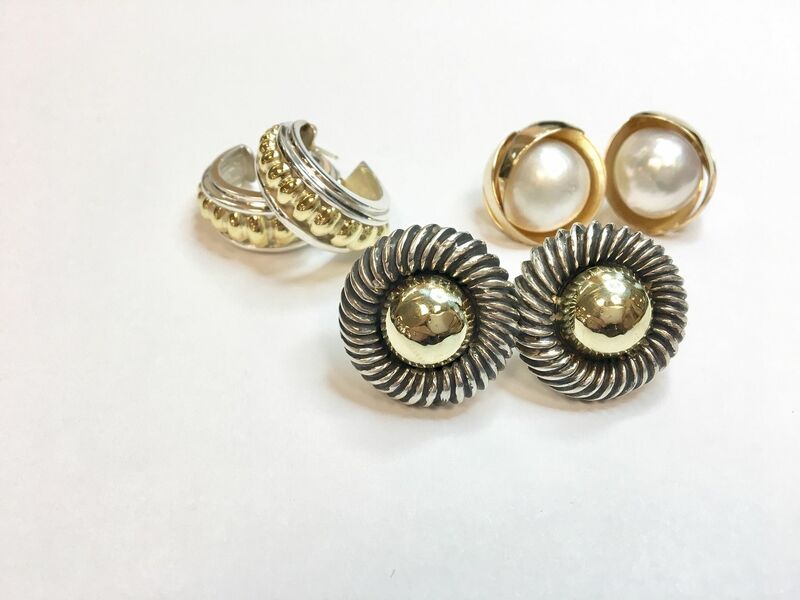 David Yurman 14ky gold ball earrings $495. Mabe pearl and 14ky gold studs $295. 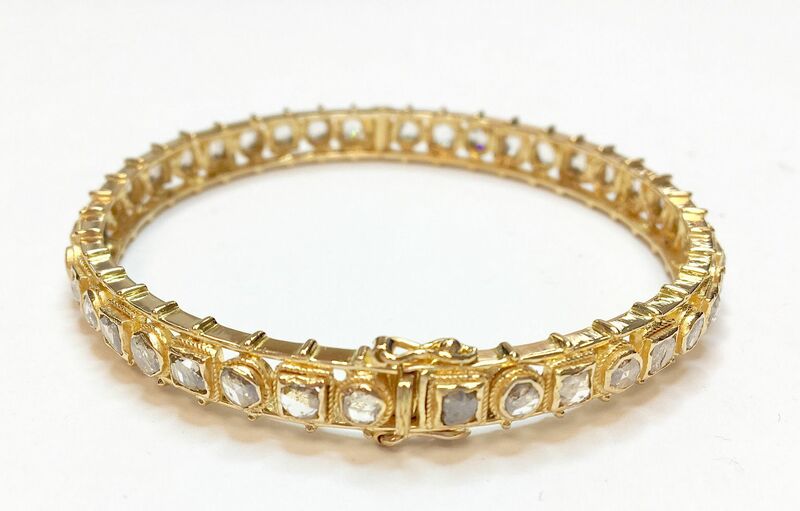 18k yellow gold and diamonds shine so bright! 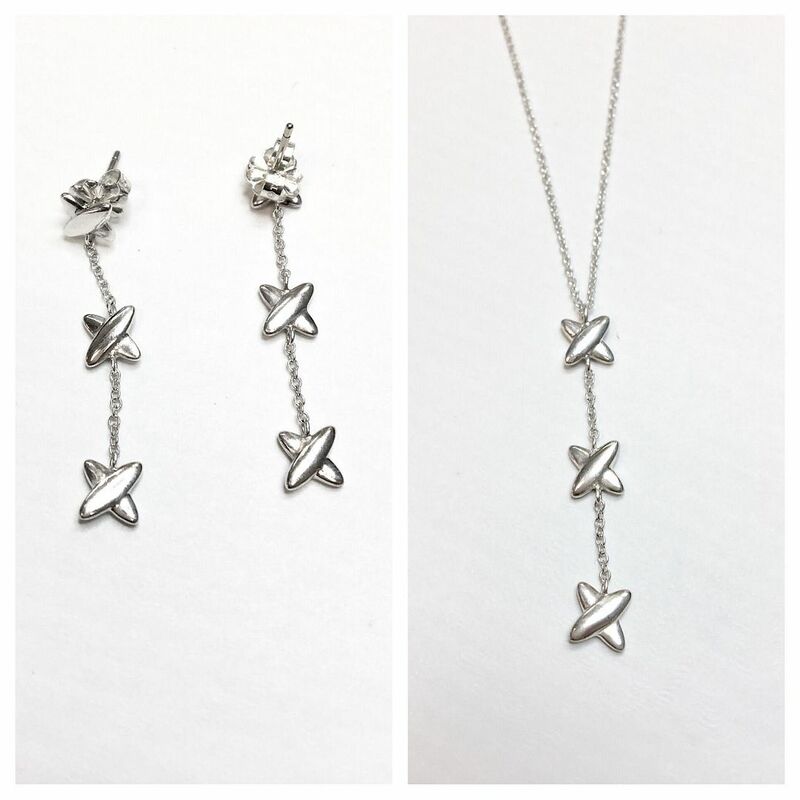 X omega back earrings with 3.00ctw of diamonds sale price $3,995. 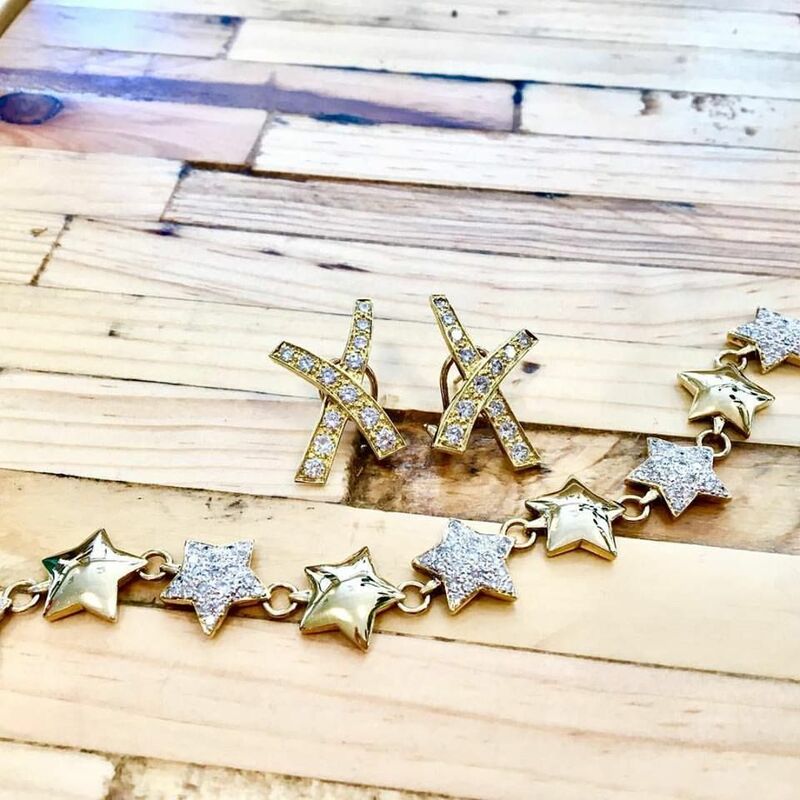 Star bracelet with 1ctw of diamonds $3,195. 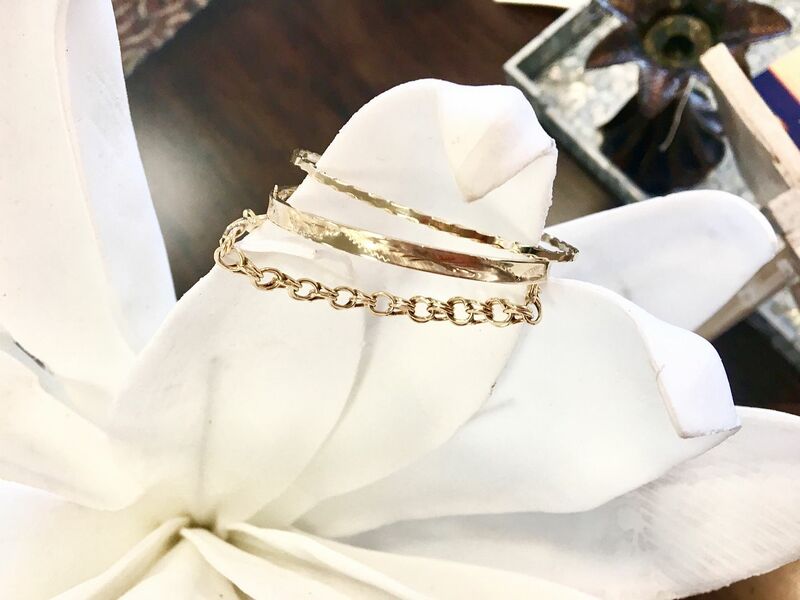 Accent that spring outfit with yellow gold bracelets for less. Price ranges here are $205 to $395. set into a Mugal Empire inspired setting. 20% OFF price is $3,195. 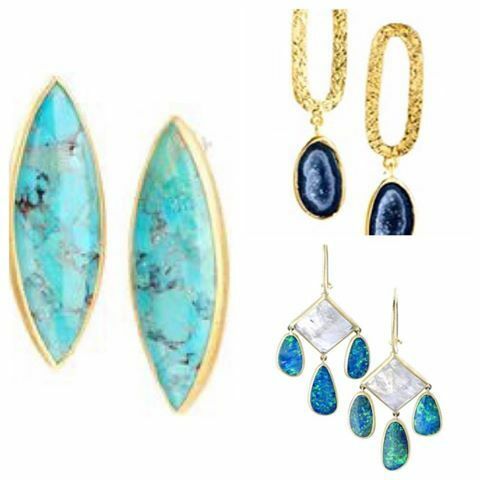 Jade and yellow gold are so classy together…add a gorgeous boulder opal enhancer and ready, steady, leap into spring. 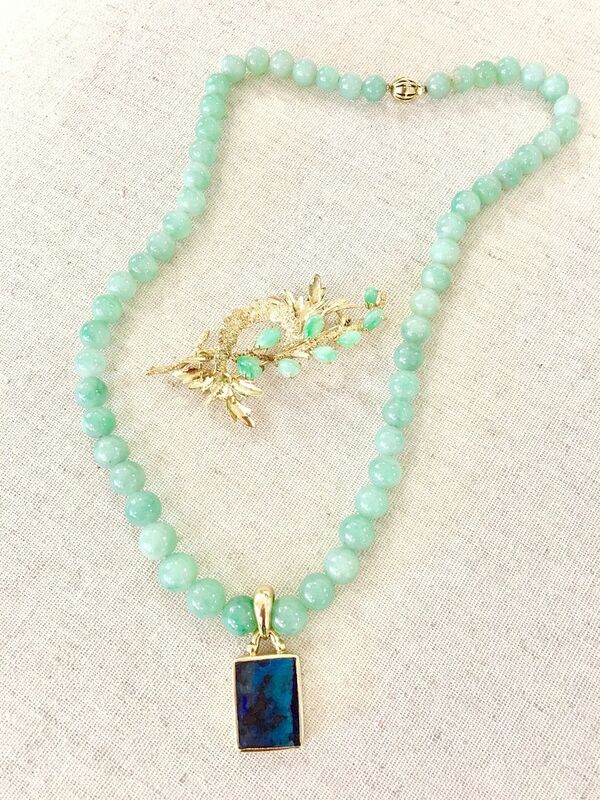 Jade necklace $895. Jade brooch $775. 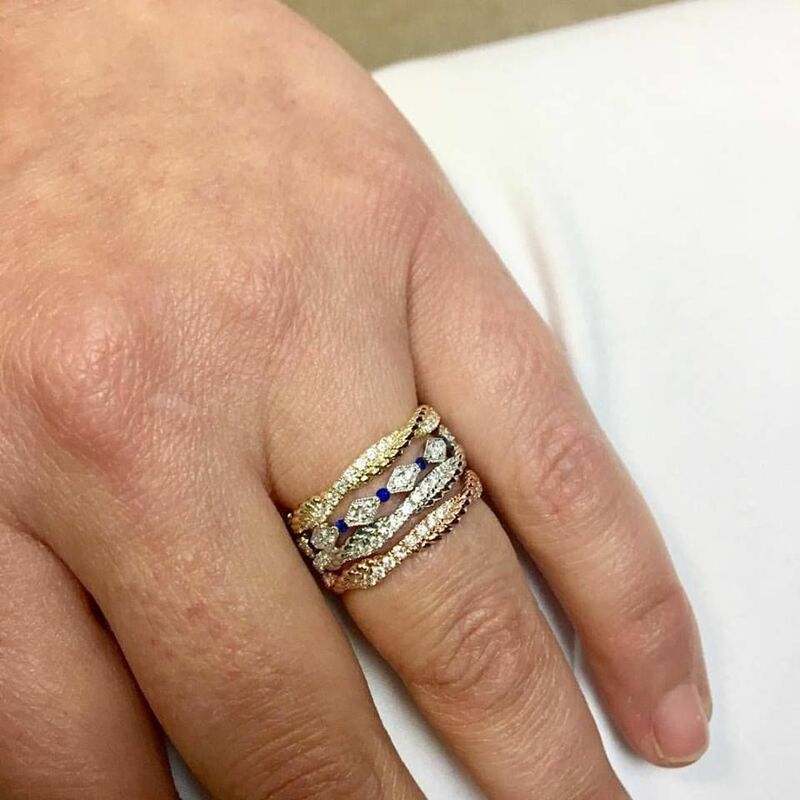 We have a HUGE assortment of bands JUST IN and all of our new bridal bands are 25% OFF with diamonds. Sale prices seen here range from $445 to $825. 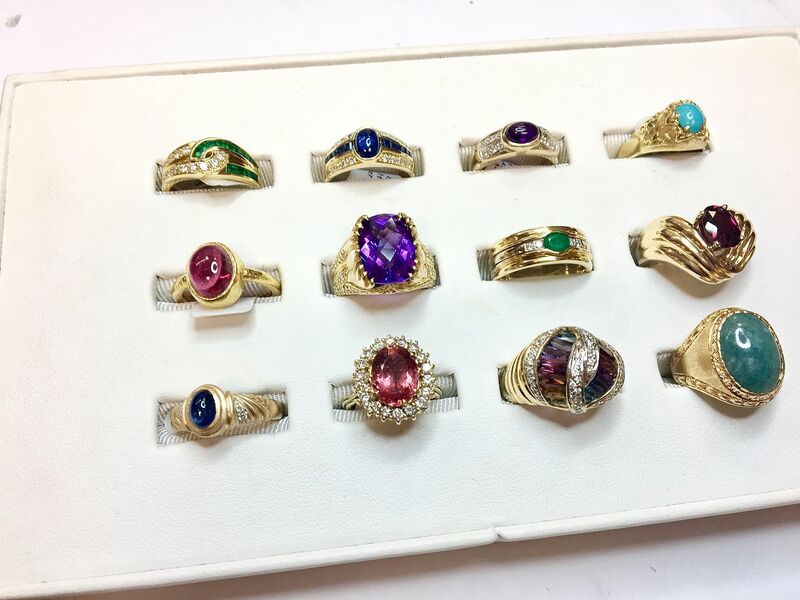 Click onto this picture to view our wedding bands in stock. Remember to deduct 25% OFF of the price you see online. This necklace is a regal piece that you will cherish for years to come. 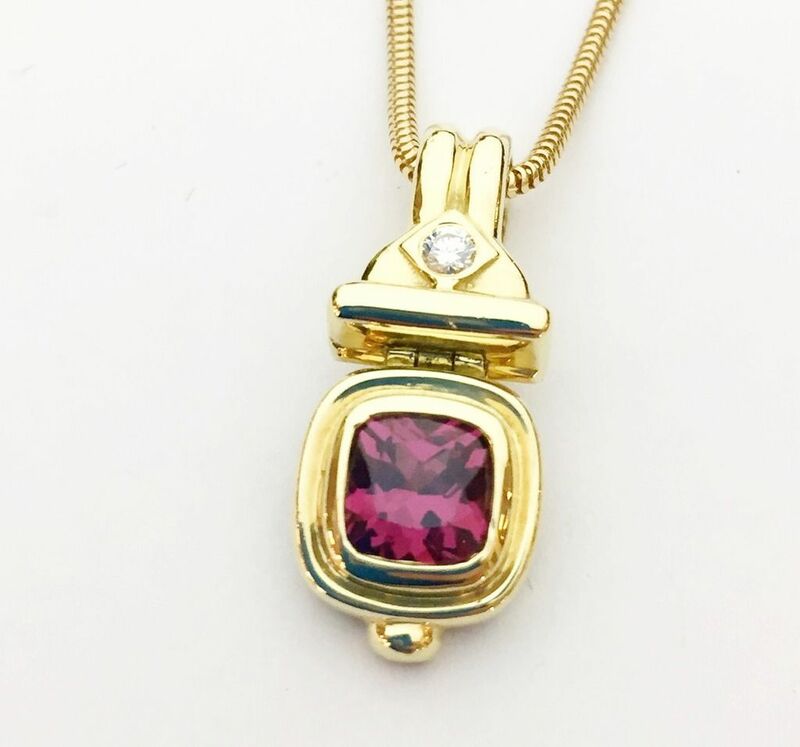 Rhodolite garnet and diamond in 18ky gold. The sale price is only $875. 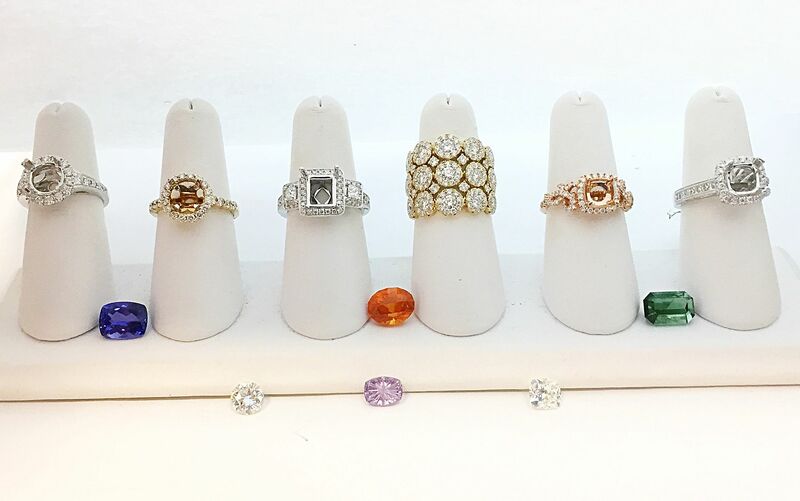 Instead of filling that Easter basket with colorfully wrapped chocolate bunnies, give them the gift of a colored stone ring. Click on the picture to see what’s in store. 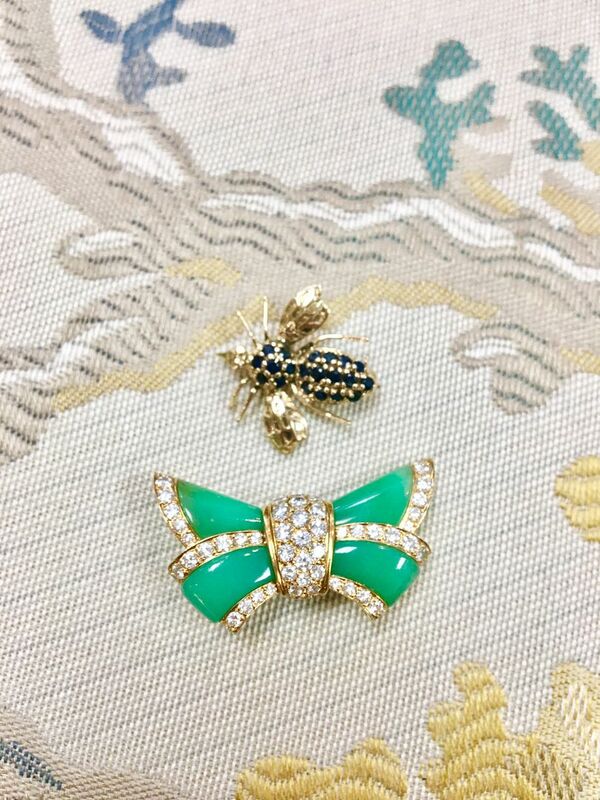 VAN CLEF & ARPELS butterfly brooch with diamonds and chrysoprase that is stamped with a serial number and France. Rare and unique this collector’s piece is $3,195. This custom made ring is so RETRO. in 18ky gold only $1,195. Nina Nguyen designer line will get your outfit ready for spring. Click on the picture to view her handmade items that are in stock. RSVP and get the details on our Facebook page by clicking this picture. We will also be taking special requests on our event page.